Paving Contractors Vancouver | Custom Blacktop Co. Custom Blacktop Co. is the Lower Mainland’s source for asphalt paving and concrete work. As one of the top paving contractors in Vancouver, we have provided exceptional workmanship on commercial and residential jobs of all sizes since 1972. Custom Blacktop is actually a family of companies, including Alpine Paving, Whistler Aggregates and Alpine Mining. We thus have access to stone and aggregates of consistent quality and 2 asphalt manufacturing plants to maintain the high standard of our paving materials. Since we handle all aspects of the paving process from excavation and grading to the paving itself, we are also able to guarantee the quality and durability of the final product. Custom Blacktop is fully insured and bondable. Custom Blacktop’s has established a reputation as one of the most reliable and efficient paving contractors in Surrey, BC, and throughout the Lower Mainland, because we are able to control the supply chain from the manufacturing plant straight to the jobsite. We take pride in having served the Lower Mainland for more than 40 years and both private homeowners and businesses have trusted us to handle their paving needs. 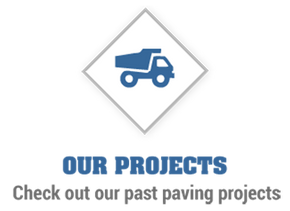 Our company has handled a wide variety of projects ranging from roads and commercial parking lots to residential driveways, tennis courts and skate parks. 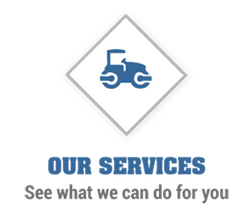 Talk to our staff of paving experts about your needs and we will find you a cost-effective solution. Your paved surfaces must be well-maintained for the safety of your family, customers and employees as well as to make a good impression on your guests. If your driveway, parking lot or other surface is showing wear and tear, contact Custom Blacktop. 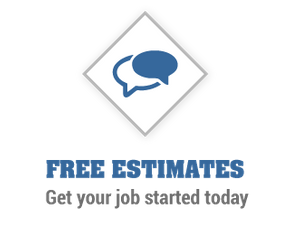 We will assess the condition of your paving and offer you a free estimate on repairs or replacement; once you decide, our polite crews will come out punctually to do the work to your complete satisfaction and provide a written quotation. Find out why your neighbours have chosen Custom Blacktop as their paving contractor in Langley and other Lower Mainland communities. If you need timely and cost-effective asphalt paving or concrete work in the Squamish, Whistler or Pemberton areas, turn to Alpine Paving (1978) Ltd. We have our own asphalt manufacturing plants. Specialized in all facets of gravel production and sales, Whistler Aggregates is your source for gravel in the Whistler area. We work closely with our sister companies at Custom Blacktop Co. and Alpine Paving (1978) Ltd.
Twin River Gravel Co., Ltd.
For sand and gravel services in Whistler, Pemberton, Squamish, Lions Bay and the Greater Vancouver area, come to Twin River Gravel Co., Ltd. We offer landscape rocks, crushed stone, crushed gravel and rock crushing. Add distinction to your construction and landscaping projects with beautiful natural stone from Alpine Mining Ltd. Our versatile products have been used in many high-profile projects across the Pacific Northwest.